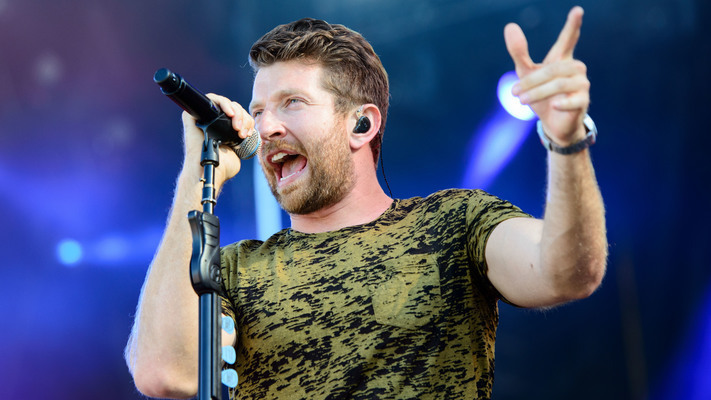 Brett Eldredge was born in Paris, Illinois. When he was 16-years-old, he discovered country duo Brooks & Dunn and became fascinated with country music. Eldrege attended Elmhurst College in Chicago but after a trip to Nashville where he saw his cousin Terry Eldredge (member of the The Grascals) perform, he got inspired and transferred to Middle Tennessee State University. He learned the vocal style of country singers like Ray Price and began writing and performing songs in the Nashville area. He was eventually introduced to producer and publisher Byron Gallimore who signed him to his publishing company. Early on in his career Eldredge co-wrote the song "I Think I've Had Enough" for Gary Allan's 8th studio album Get Off on the Pain which was released on March 9, 2010. By the end of 2010 Eldredge had signed to Atlantic Records and released his debut single, "Raymond." Eldredge would release his second single "It Ain't Gotta Be Love" in the summer of 2011 before dropping his third single "Don't Ya" in October of 2012, becoming his first single to enter Billboard's Hot Country Songs chart. On August 6, 2013 Brett released his debut studio album Bring You Back. Three singles from the album, "Don't Ya," "Beat of the Music," and "Mean to Me," reached number one on the Country Airplay chart. His second studio album Illinois was released on September 11, 2015 and peaked at No. 1 on Billboard's Top Country Albums chart and featured the hit singles "Lose My Mind," "Drunk On Your Love" and "Wanna Be That Song." Eldredge released his first Christmas album titled Glow in October of 2016. On August 4, 2017 he dropped his self-titled, third studio album, debuting at No. 2 on the Billboard 200 to become his highest-charting album release to date.